Crafting is sooo cool isn’t it? In case you haven’t noticed, there is a new wave of art, craft and design around the world the last couple of years forging a new economy and lifestyle based on creativity, determination, and networking. 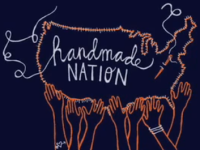 Faythe Levine‘s film Handmade Nation documents this contemporary DIY craft movement. Levine traveled to 15 cities to interview artists, crafters, makers, curators and community members in their studios and homes to document what has emerged as a marriage between historical technique, punk culture, and the D.I.Y. ethos. 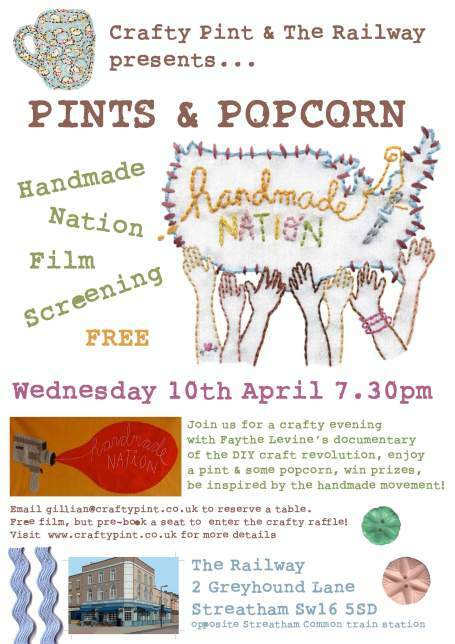 You can watch Handmade Nation for free today Wednesday 1oth of April at The Railway Pub in Streatham Common. So, email [email protected] to reserve a seat and head to The Railway and you never know maybe you’ll get inspired and you’ll start making your own amazing and of course particular gifts for yourself and your friends.